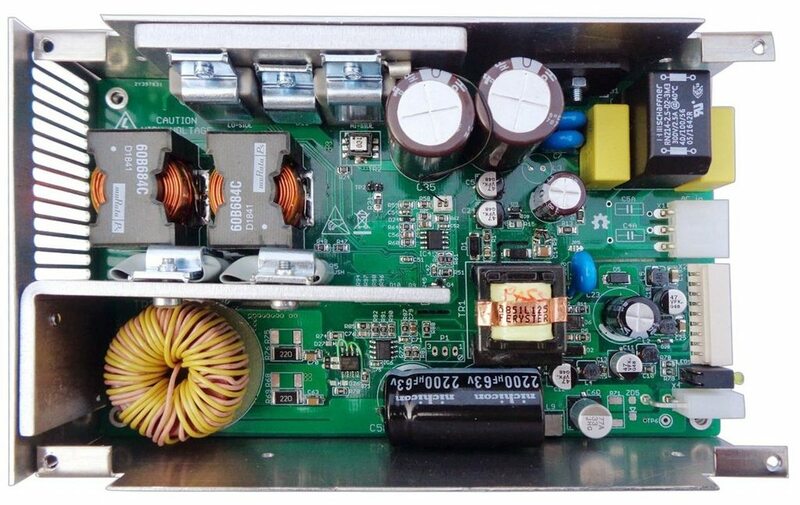 I'd like to present my first SMPS project of power pre-regulator that can be used in variable/programmable bench power supply as replacement for AC mains transformer or combination of AC/DC converter with fixed output and DC/DC converter used for efficient pre-regulation. Additionally, it provides four bias outputs for powering post-regulator circuit. More details (incl. some measurements) can be found on the project web pages and GitHub repository. Its block diagram is show below. The major challenge was to make a converter that could accept (without mechanical switch) wide input voltage and provide wide output voltage in the same time. Therefore a CF-DIC (current fed dual inductor converter) topology has been selected combined with HV synchronous buck. 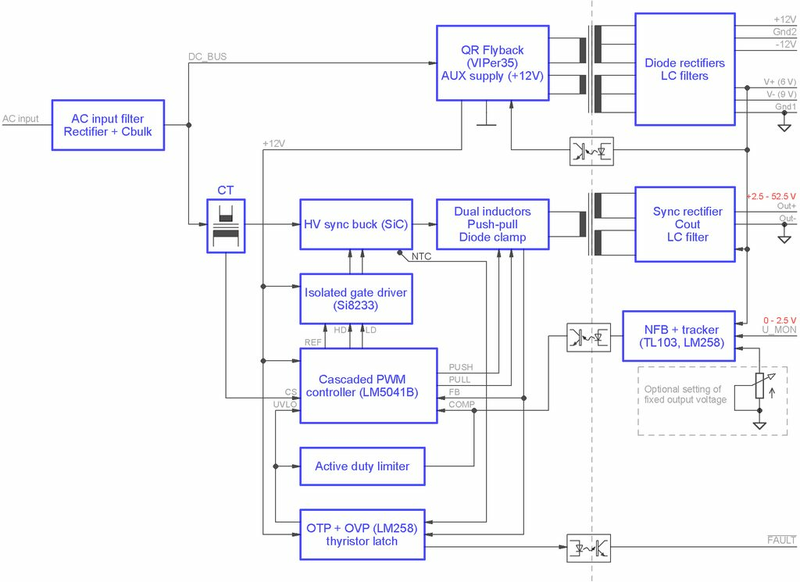 The main controller is LM5041B, that can drive directly CF-DIC section and provide PWM outputs for HV buck driver. Si8233 is intentionally used as a driver to isolate power and signal grounds that simplify e.g. PCB routing and improve circuit stability. Converter's BOM is also available on the GitHub, and all used components can be sourced from the major distributors. Only two components: flyback and power transformer are custom made (that is common case for AC/DC converters) and can be sourced from Feryster (Poland). Shown enclosure is provided by Varisom (Portugal). A very nice project. Congratulations.